Our literary candles are perfect for any book lover. Perfect to snuggle up and read a good book! 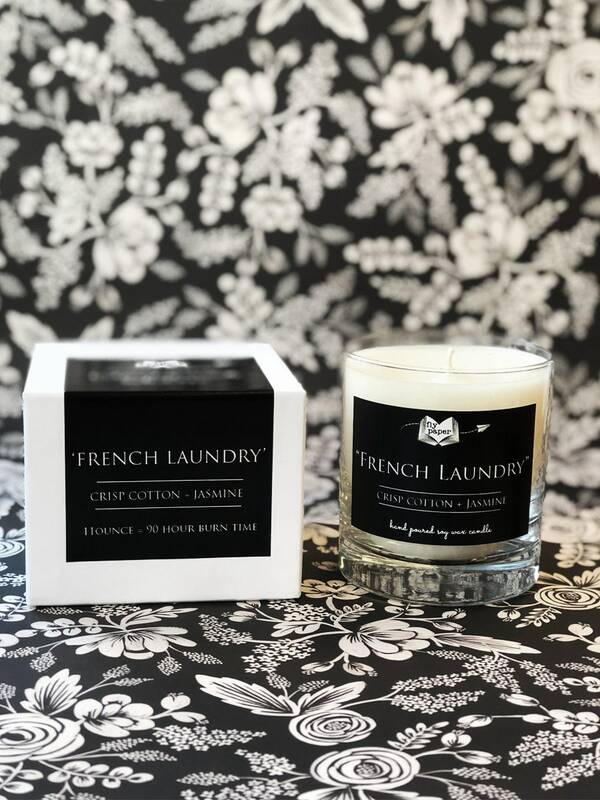 A fresh laundry fragrance, blended floral notes- soft, fresh, clean and crisp. Our luxury soy candles are hand poured into a glass vessel and is packaged in a white box, ready to give as a gift, or keep for yourself. 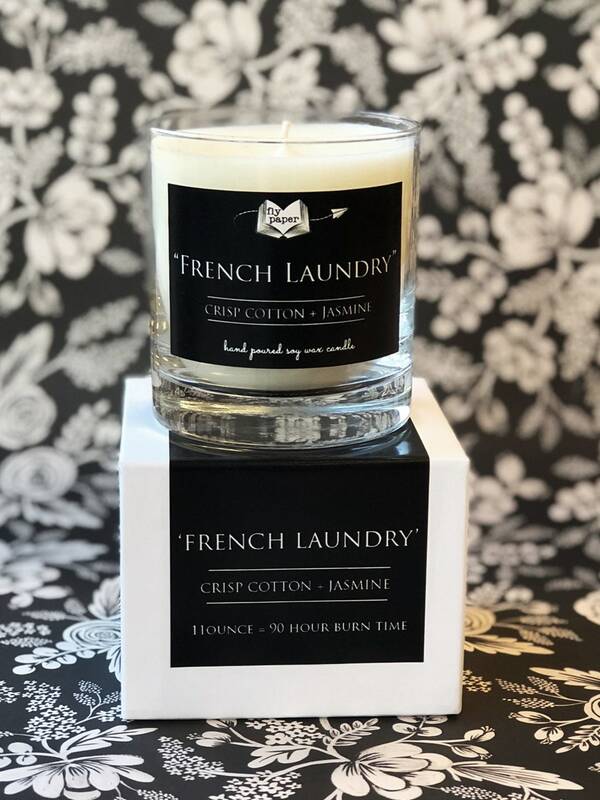 11ounce candles have an approximate 90 hour burn time.